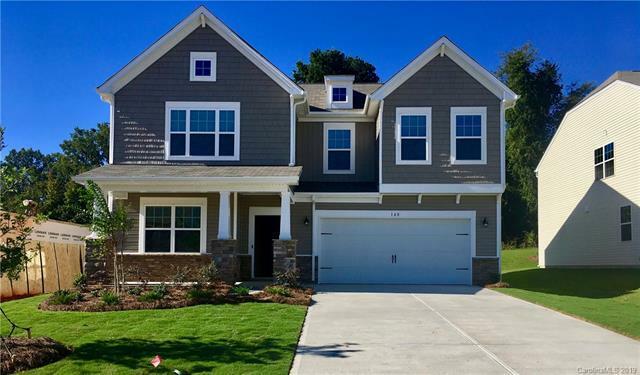 BRAND NEW- MOVE IN READY! This beautiful home features five bedrooms, three full baths, and private office. A bright and open kitchen comes complete with a huge breakfast bar, granite counter tops, gas range, and stainless appliances, including the refrigerator. You'll love having a separate office space with French doors for privacy and a spacious family room with gas fireplace. The second floor is where you can find all four bedrooms, each with a walk-in closet, and a spacious loft. Your master bedroom suite comes with a huge walk-in closet, garden tub, and walk-in shower. Private backyard with wooded area behind lot.